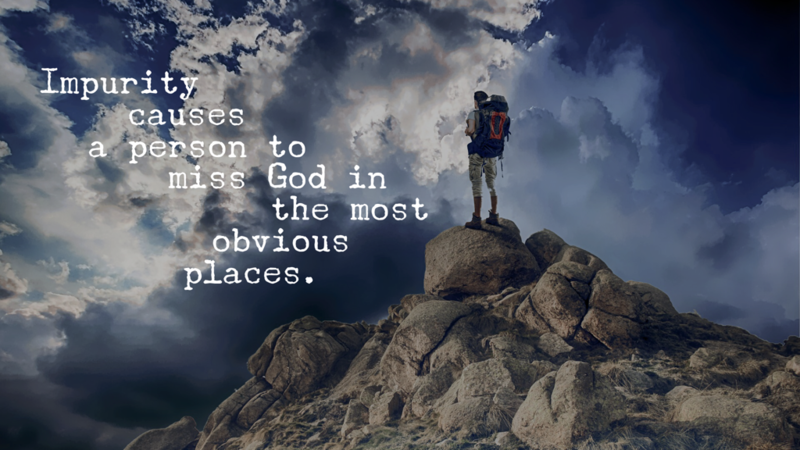 God deeply desires that we come to meet with him. But, there is a specific way to approach him. Do you know what it is? Those who are clean of hand, heart and mouth are able to come before God in worship. Does this sound like too steep a requirement? Is it really possible to be holy enough to stand before God? Yes, it is. It is true that God longs to be worshipped. It is also true that he has made a way for this to happen. The death and resurrection of Jesus made the way for us to be in a position of holiness. The way has been opened for us to approach God. Since we now have gained the position of holiness, we are called to live this out. Practical holiness is achievable through responding to the Spirit’s conviction. If you ask him, he will show you if there is any unholiness in your hands, heart or mouth. Idolatry (loving something or someone more than God) is highlighted as an obstacle in meeting with God. Rid yourself of anything that would hinder you from worship. Throw away idols, whether large or small. Do not sacrifice your precious relationship with God for anything else. Before worshipping God, ask him to search you for any unholiness. Deal with any sin that he brings to your mind. Deal with the sin through repentance. Don’t allow your approach to God be stopped by any idolatry. Don’t allow dullness in your worship life. God is worth the approach of holiness.